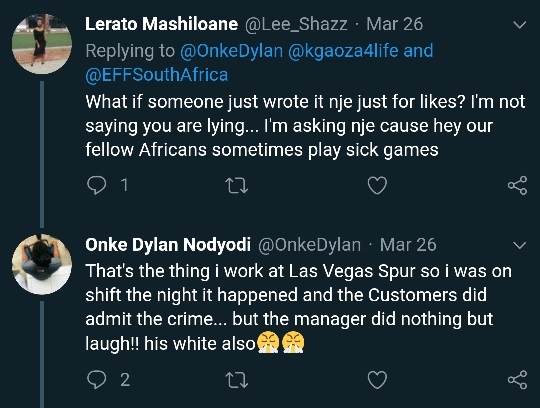 A Social Media User Exposes Racism At A Spur In East London. 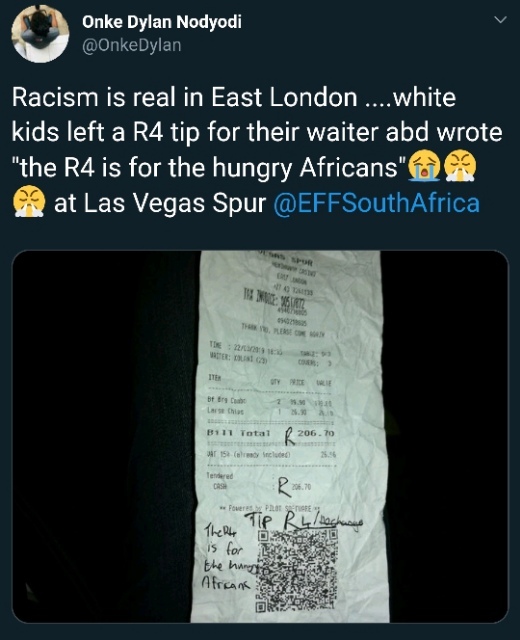 According to the user, the white individuals gave the waiter that was attending to them a tip of R4. 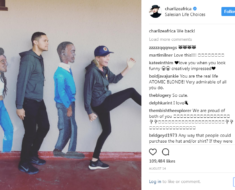 A social media user recently posted a tweet about a possible racist remark that was allegedly written by a few white individuals. The tweet says that the incident happened at a spur in East London, Eastern Cape. The tweet was accompanied by a picture of a bill payment. 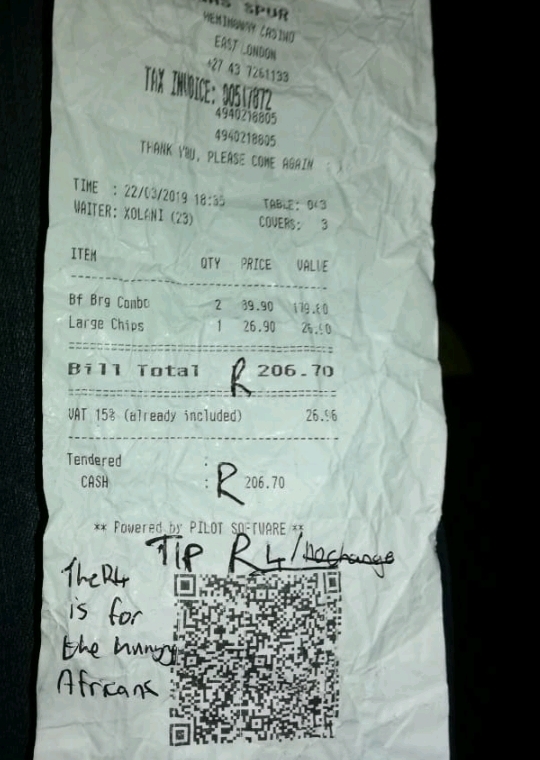 According to the user, the white individuals gave the waiter that was attending to them a tip of R4. 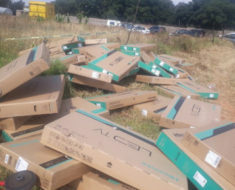 Along with the tip, the white individuals allegedly wrote “The R4 is for the hungry Africans.” The user tagged the Economic Freedom Fighters on the post. One of the other social media users commented by asking what if the individuals were actually just joking around. The person replied by saying that the individuals that were involved in writing the note acknowledged that they did this on purpose. He also said that the manager of the place found the note to be a laughing matter. Other users commented by stating that after so many years of struggle against segregation, these types of incidents happen in South Africa. 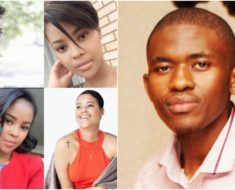 According to the South African Human Rights Commission, most of the disputes that they have received are based on racial equality, mostly racism against black people.